I've been meaning to make my own laundry soap for a while now and I finally did it. It was so simple and so cheap. I can't believe I didn't do it sooner. Using a cheese grater, grate the entire bar of soap. Dump your soap into a large pot. 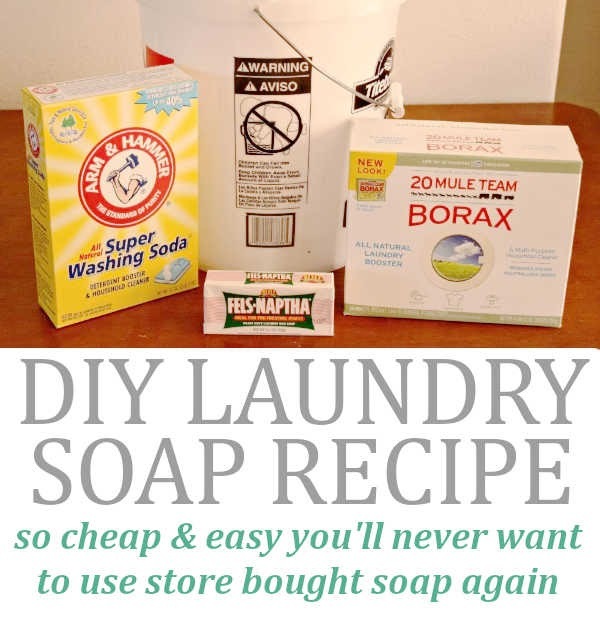 Add your borax and washing soda. Fill your pot with enough water to cover your ingredients (I used about a gallon of water.) 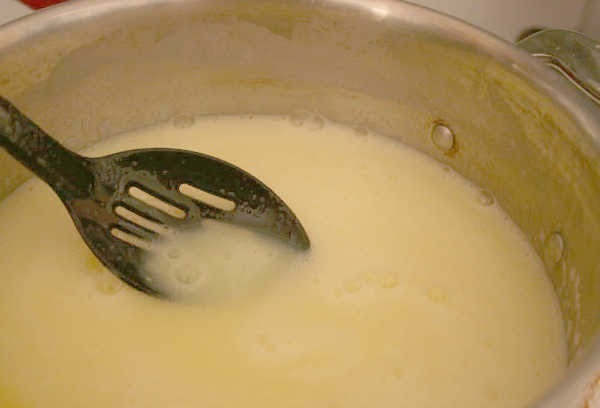 Heat up your mixture, stirring constantly until your soap is dissolved. 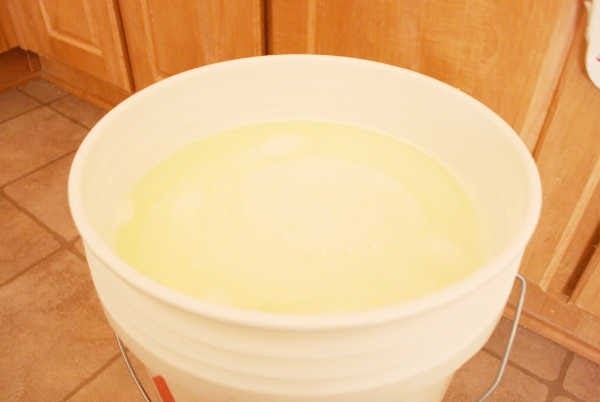 Dump you mixture into your 5 gallon bucket and fill up the rest of the bucket with water. Put your lid on you bucket and let it sit for 24 hours. Stir again before each use. I recycled some old detergent containers to store mine in and to make it easier to pour. A large glass or plastic drink dispenser also works great for storing your laundry soap in and it looks really nice to! I use 1 cup per load and my clothes come out just as clean as with the store bought stuff. I use the same recipe and products. This is my favorite diy laundry recipe. I'm all for $$saving! As the Fels Naptha melts in its pot on the stove, does it give an odor? Asthma trigger. And I have a high efficiency machine, requiring special formulas of commercial detergent. What about homemade? Don't want to flood the place with suds, lol. 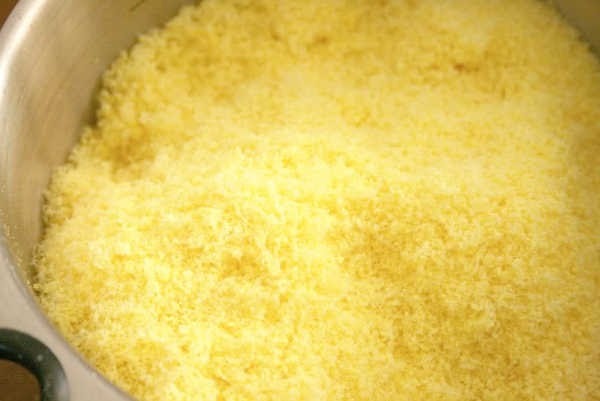 My recipe is basically the same as this, but it calls for diluting it again 1/2 and 1/2 again with water then using only 1/2 c per load & half that amt with an HE machine. @Janet Yes, it does have an odor when you are cooking. It smelled like the soap only 10 times stronger. You may look into using a different kind of soap if the Fels Naptha bothers you. My machine is also high efficiency. I did a lot of research before making this stuff. Since it does not suds up as much it should be safe to use. I've used it 3 times in my machine so far and it seems to be fine. I guess if you don't hear me complaining in the next few months about having to buy a new washer then you can assume it works. lol. Can't beat spending only a few dollars and have it last longer than the expensive store brands. Thanks for sharing. I would love it if you could link this up to our linky party going on right now. I really want to try this since I know it would be such a money-saver. I can't wait to try this. Can you scent it with anything? You can use Pink Zote Soap instead of Fels Naptha. It smells wonderful. @Sarah I'm sure you could add a few drops of essential oils to it. I have been wanting to try this- maybe 2012 will be the year I finally do it! Thanks for sharing. Thanks for linking to Things I've Done Thursday. This is what I need for all the wash I do!!! and I have all those products in my house now! I am your newest follower..pls follow back if you can! Wow!! That’s truly inspirational.. wow!! I made this and the finished product was like a gooey snot. Is this normal????? I seen this recipe on the Duggar's TV show. and I was very hesitant to make it myself, but then I seen that my favorite resale store was selling this, I bought some to try it and I love it!!!! I will defenitely make this when my bottle is all gone.